We are located at the Monash University Clayton Campus. Monash Hockey Pavilion, Ring Road East, Victoria. 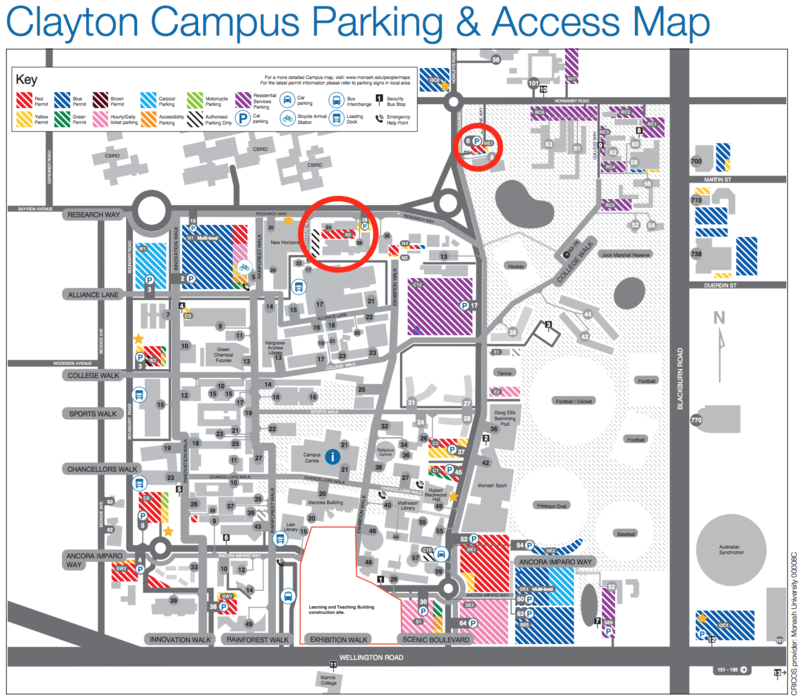 In the university’s perpetually shifting state of construction, we recommend the circled carparks on the map below. There is disabled parking available right next to the Northern gate of the grounds. Please note that the purple parking is off-limits 24/7, but most other car parks are okay after 5pm on weekdays, and all day on weekends. Please do read the parking signs, by parking in a Loading Zone or Taxi Zone you risk getting a fine (be cautious – occasionally they patrol on weekends! ).